This isn’t a path you’d miss, hollowed by so many feet. And once you’ve been there, something in you marks this tree, old marker of its path. You’re back again, you’ll press your fingers into deep-scored bark. You’ll trace the spirals round the bole, make of your two quick hands two sweeping gusts of air. Tree casts a net of lines and swelling burrs that age so much more slowly than your hands. And then. Your children’s hands grow larger. Twelve human generations have leaned and touched and carved. Tree grows over all. The left side makes a wodwo, greened and rooted, his back turned on the path. The right side makes a silver, lilac-shadowed flank that tells you South. 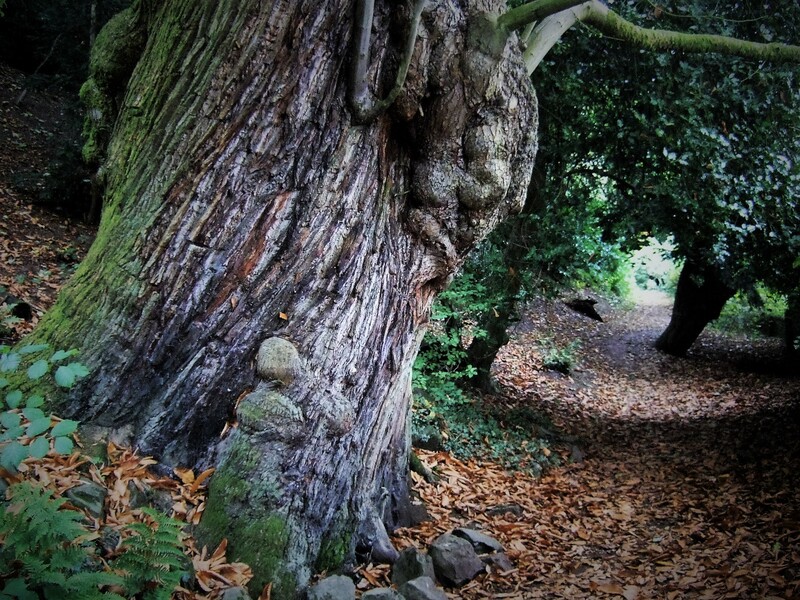 This is the tree of the town, holding the hill in Rectory Wood. You’ll tell it secrets, which it roots.